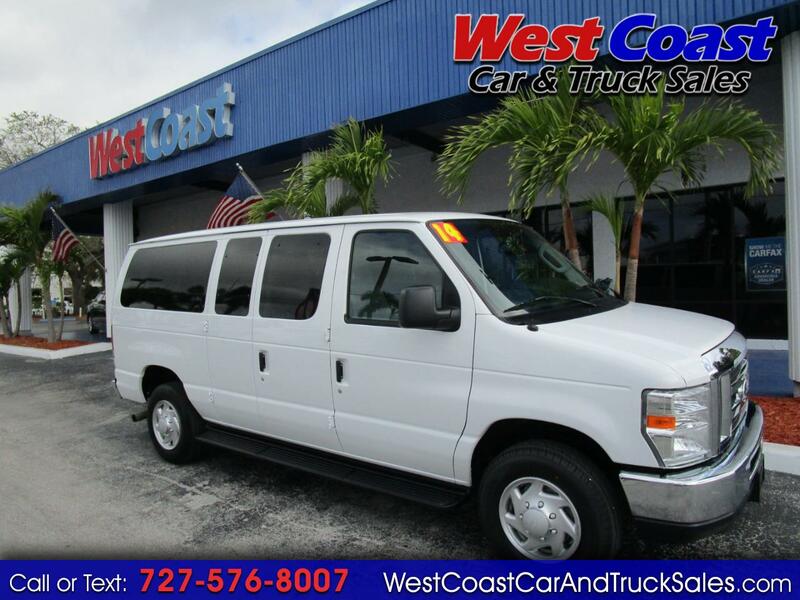 Used 2014 Ford Econoline E350 XLT Econoline 12 Passenger for Sale in Pinellas Park FL 33781 West Coast Car & Truck Sales Inc.
(23) Photos Printable Brochure Apply For Credit Schedule A Test Drive Text Us About This Vehicle! West Coast Car & Truck Sales Inc.
West Coast Car & Truck Sales, Inc.
12 Passengers. Back-up Camera. We offer the easiest financing in Florida with rates starting at 2.49%. Good, Bad, No Credit needed. Call today to schedule your test drive! Purchase the finest pre-owned vehicle possible at the best price. TRADES WELCOME. Due to our high inventory turnover please call in advance to make sure that the vehicle you are looking for is still in stock. WestCoast Car and Truck Sales is One of the top dealerships in Florida. Please call and speak to one of our sales staff or apply online for a quick approval. Family owned and operated for 28 years. Visit West Coast Car & Truck Sales Inc. online at www.westcoastcarandtrucksales.com to see more pictures of this vehicle or call us at 727.266.5232 today to schedule your test drive. The price listed does not include License, Title, Registration Fees, State or Local Taxes or Processing fees, if any. The listed details are to be used as an informational listing of available equipment on this vehicle. It is the sole responsibility of the customer to verify the existence of any option or accessories and the vehicle condition before time of sale. No express or implied warranties or representations of any type concerning this vehicle, including the availability or condition of the equipment listed is made. Message: Thought you might be interested in this 2014 Ford Econoline.